How much is Charles Gibson Worth? Charles Gibson net worth: Charles Gibson is an American former broadcast television anchor and journalist who has a net worth of $50 million. Charles Gibson was born in Evanston, Illinois in March 1943. He was a host of the television series Good Morning America from 1987 to 2006. Gibson also anchored World News with Charles Gibson from 2006 to 2009. He graduated from Princeton University and served as News Director at the university radio station. He served in the United States Coast Guard. Charles Gibson was an anchor and reporter for WJLA-TV from 1970 to 1973 and from 1977 to 1981 he was a general assignment correspondent for ABC News. Gibson was the chief correspondent for the U.S. House of Representatives for ABC News from 1981 to 1987. He co-anchored the TV series 20/20 from 1998 to 2000 and co-anchored Primetime from 2000 to 2004. He has also moderated many political debates. In 2009 he delivered his final broadcast on World News. Charles Gibson won three News & Documentary Emmy Awards. In 2018, Charles listed his Park City, Utah home for $9.4 million. 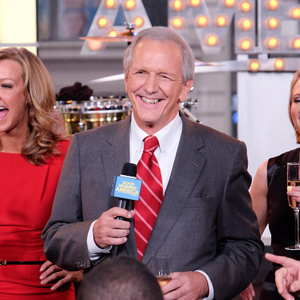 At the peak of his Good Morning America career, Charles' earned a salary of $7 million per year.